When people of different races and ethnic backgrounds come together, they form the most magnificent sight – a rainbow. Just like colors of the rainbow, each person is unique in his and her own special way. But all have similar feelings, thoughts, hopes, and dreams. 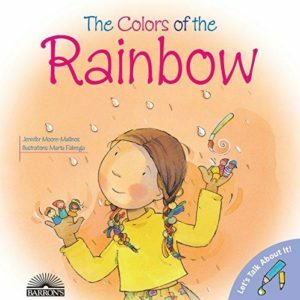 The Colors of the Rainbow is a great book to teach young children that no matter what race or ethnicity they are, they still share similar thoughts, feelings, hopes, and dreams. This book compares each person to a color of the rainbow because everyone is unique in their own way. This is a great book to read to a kindergarten or 1st grade class. It will allow the students to come together and do a fun activity where they draw themselves on paper and write something really cool about them under their picture. Kids are encouraged to celebrate and appreciate both their own and other people’s differences, and above all, to come together like the colors of the rainbow. Titles in the sensitively written “Let’s Talk About It!” series are available in both English and Spanish language editions. 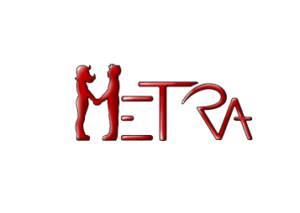 They speak to the concerns and anxieties of preschool-age and early-grades children, encouraging kids to explore their feelings and then to speak openly about things that trouble them.